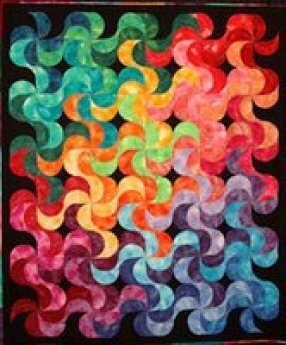 These classes include a Color Workshop where all the fabrics (about 1200 different fabrics) are provided to use in a series of exercises that will teach you how to combine fabrics to create from Traditional to Modern Quilts. 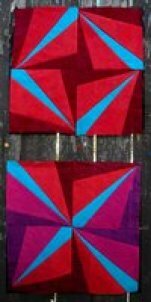 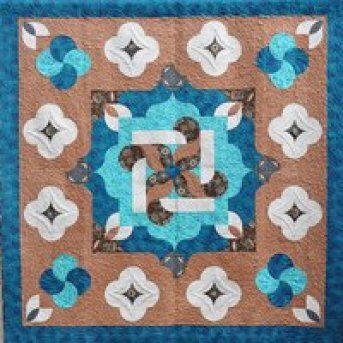 A Two-Day Design Workshop is an option to learn how to design and then make your own original Quilts, using any of the different Rulers. 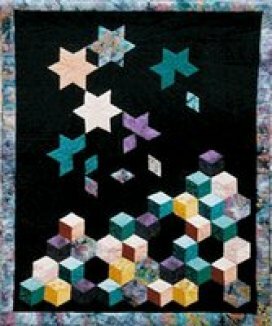 The Tumbling Stars Workshop is a Scrap Quilt, based on the Tumbling Blocks pattern, which I have been teaching for years and is amazingly easy to make.